Live Sent in Columbia, SC! This 3-day mission trip is an opportunity to serve local schools with campus beautification projects, teacher appreciation lunches, and prayer walks to kick off the new school year. 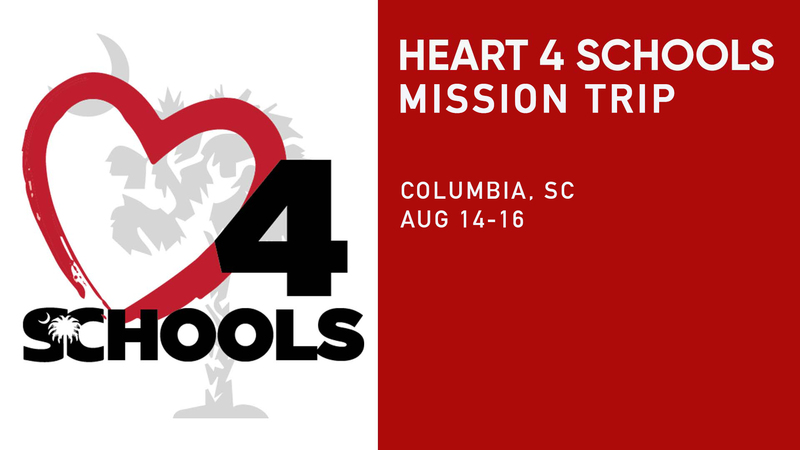 Join the Heart 4 Schools team August 14-16 for this special time of service in the city! Plan to be available from 8:30am-3:00pm each day. $20 per individual, couple or family covers meals and supplies.